Late U.S. 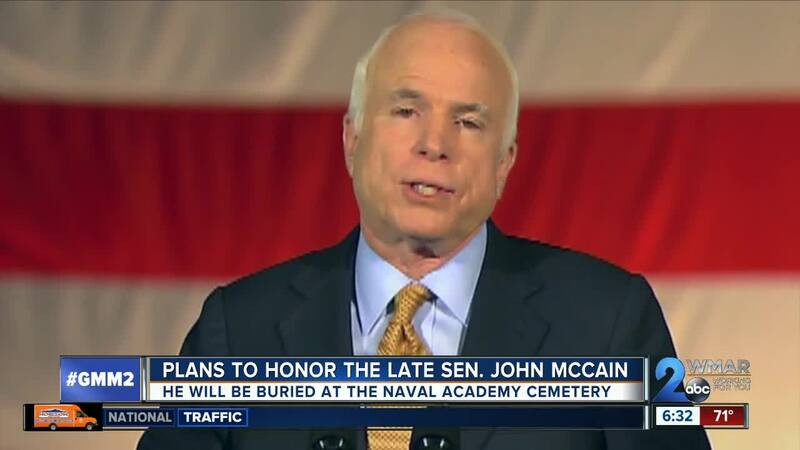 Senator John McCain will be laid to rest at the U.S. Naval Academy Cemetery in Annapolis. 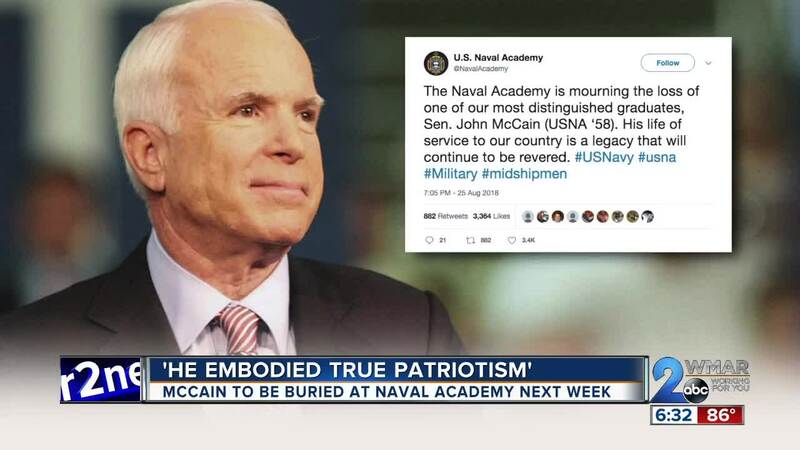 McCain passed away Saturday after an extended battle with brain cancer. He was 81.